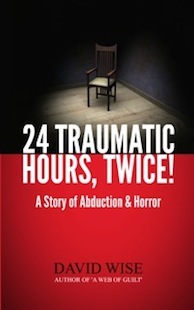 A TEENAGER SUFFERS TWO TRAUMATIC HOSTAGE EXPERIENCES. BOTH ARE FATHER-SON RELATED. BOTH ARE SIMILAR BUT DIFFERENT. THE OUTCOME IS TERRIFYING!